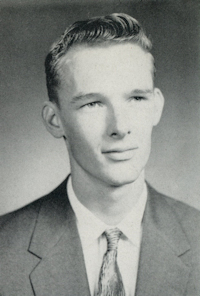 Obituary – Hess, Harvey Leonard « Perry High School Alumni Association, Inc.
Homeroom President 57-58; F.F.A. 55-56. Harvey L. Hess of St. Peters, MO and San Diego, CA, died on Monday, March 12, 2012 at the age of 71. Loving husband of Sonja Hess (nee: Craighead; Norman); dear son of the late Glen and Leona Hess; devoted father of Pam (Leo) Bochnia, Dana (Kevin) Wise, Kelly (Mike) Lauer, and Shelly (Brian) Buchheit; cherished grandfather of Katie Bochnia, Michael Bochnia, Ryan Bochnia, Tara Thomure, Ashley (Nick Heppermann) Thomure, Nicki (Kyle Stumbaugh) Thomure, Jordan Wise, Julia Wise, Abbey Lauer, Drew Lauer, Grant Buchheit, and Alyssa Buchheit; great-grandfather of Caiden Stumbaugh; dear brother of Bob (Pat) Hess and Vernon (Carren) Hess; and loved by many other family and friends throughout the world and naval organization. 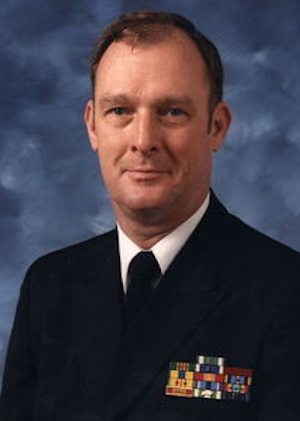 Harvey proudly served his country in the U.S. Navy as a Chief Warrant Officer for 30 years. He was involved in various organizations throughout his career. He also worked on seven aircraft carriers, one supply ship, twenty aircrafts, and six squadrons. He was also employed with San Diego County for ten years in the Health and Human Service Agency. In lieu of flowers, memorials may be made to the American Cancer Society or David Pratt Cancer Center at Mercy Hospital. Interment service at Ft. Rosecrans National Cemetery in San Diego, CA at later date.